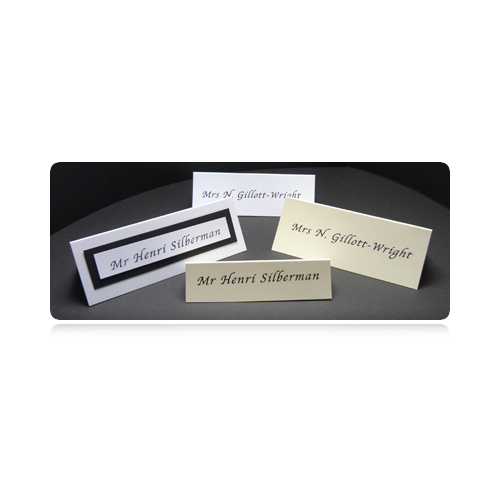 These Single Fold Place Cards are available in the following 4 different finishes. These card blanks are designed for the perfect item for a table place card. Just add your guests name and fold. The picture below show some basic effects that can be achieved. Other sized place cards can be bespoke made to order, please email us with full details of the exact finished dimensions when folded of the place card, and we will email you back with a no obligation quotation, please state which of the texture/finishes you require.